When parents trust their child to the care of another party, they are forced to put a tremendous amount of faith in the hands of the caregiver. Parents should be able to rest easy knowing their child’s health, safety, and well-being are fully protected. Yet sadly, in far too many cases, children are abused. According to the most recent data from the American Society for the Positive Care of Children (SPCC), millions of American children are abused or neglected each year. Even more alarmingly, SPCC reports that 75 percent of child victims are under the age of seven. If your child was mistreated by a caregiver, whether by a school, a private daycare agency, a babysitter, a coach, or any other trusted party, you need to take immediate action to protect their safety. An experienced legal professional can help you get justice. Here, our San Francisco child abuse injury lawyers highlight the first four steps you should take when filing a civil child abuse claim. Nothing should come before the health and well-being of your child. If you suspect any form of abuse or neglect, your child’s safety always comes first. The very first step you need to take is to get them the medical or psychological assistance that they need. Unfortunately, in many cases, especially those involving very young children, abuse/neglect can be difficult to uncover. For this reason, parents should always follow up on any signs of potential injuries or mistreatment. Child abuse should be reported to the appropriate authorities. If your child was abused or neglected in a school, a daycare center, or any other facility, the issue should be raised to the highest possible level. In some cases, child abuse should be reported directly to law enforcement and to other public safety officials. If you are not sure exactly how or where to report the abuse, do not hesitate to reach out to a Bay Area child abuse attorney. Your attorney will make sure that your case is properly reported. To pursue a civil lawsuit for child abuse, you will need evidence to support your claim. You should take proactive measures to collect and secure relevant evidence. This includes taking pictures of your child’s injuries, writing down contemporaneous notes regarding your suspicions, getting witnesses statements or testimony, and much more. A San Francisco child abuse attorney can help you take action to obtain and assemble all relevant evidence. 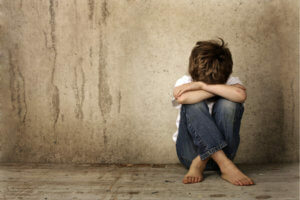 Filing a child abuse lawsuit is a complex process. A qualified attorney can help you take the appropriate action to properly bring a persuasive, strong legal claim. It is crucial that you take action to hold the child abuser and all other negligence parties accountable for their misconduct. At Bracamontes & Vlasak, we are committed advocates for victims. If your child was abused, our legal team can help you fight for justice. For free, fully confidential legal guidance, please do not hesitate to contact our San Francisco law office today at 415-835-6777.